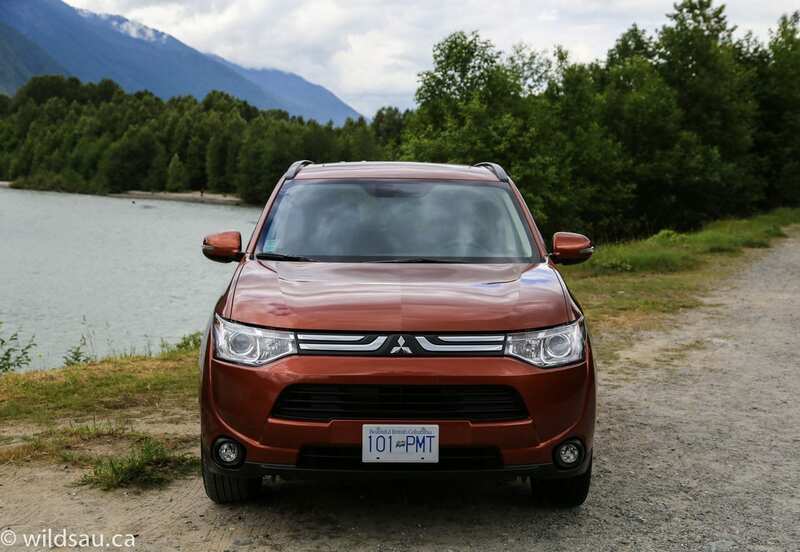 I headed out to Vancouver on June 10, 2013 to join a small group of journalists to test drive the all-new Mitsubishi Outlander. My flight there had me seated beside a very large man who, immediately after take-off, pulled out what smelled like an onion and onion sub. The stench hit me the second he unwrapped it and he enjoyed every last bite of it. It was a long flight. All photos were taken by the writer during the Outlander Drive Event in Vancouver and area. The one exception is this highway driving shot by Amee Reehal. I was picked up at the airport by event organizers Morrisport and delivered to our extraordinary accommodations – the Rosewood Hotel Georgia. Built in 1927, this historic building was shut down four years ago and underwent a complete restoration and renovation. They salvaged a ton of original parts of the building, and just walking into the lobby is a feast for the eyes. To call it sumptuous is a grave understatement, and the opulence continues upstairs. Each room is large, beautifully put together with furnishings and finish you’d expect in a lottery show home, not a hotel. The bathroom is probably the nicest I’ve seen in my life. Not in a hotel. I mean that I’ve seen – period. Make a point of visiting there when you’re in Vancouver. Better yet, if you can swing the prices, stay for a few nights. You deserve it. We were treated to a lovely evening with our hosts and a delectable meal. The next morning, things started early. Breakfast was at 7:30 and as we finished our food, the good people from Mitsubishi gave a short presentation about Mitsubishi and the new 2014 Outlander. 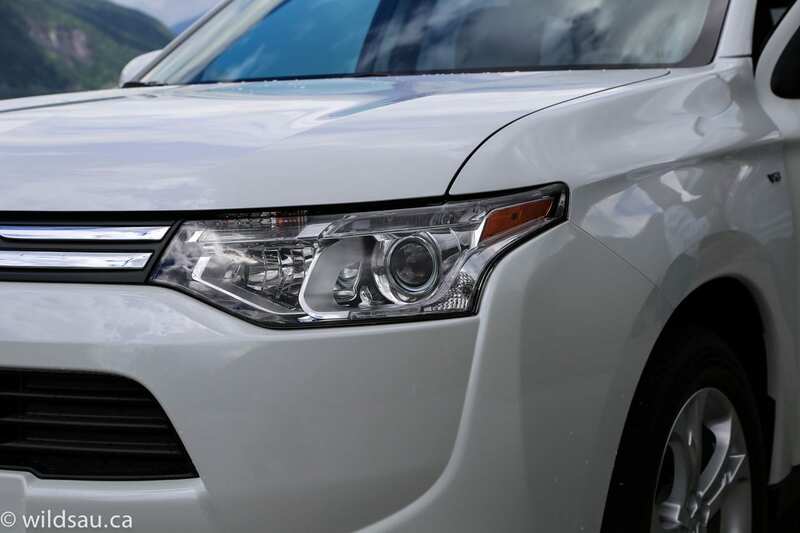 What is the Outlander? 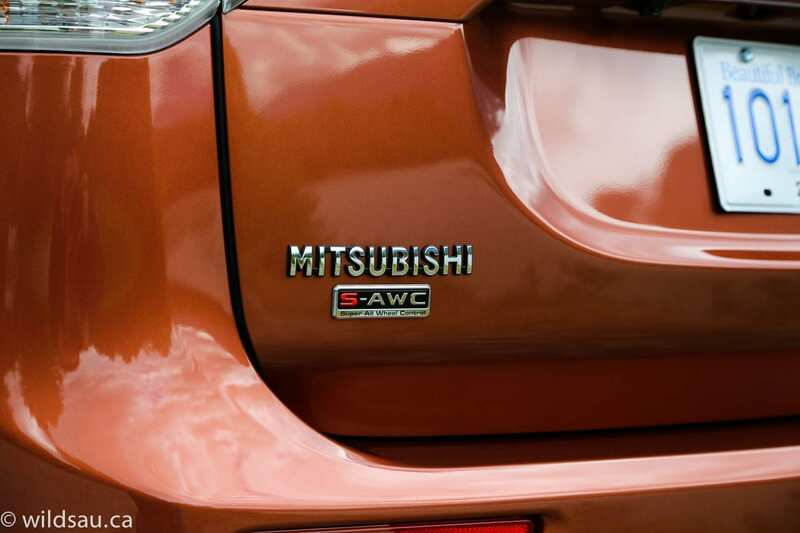 Well, according to Mitsubishi, it’s a compact SUV. Is it important? You bet your royal behind it is. 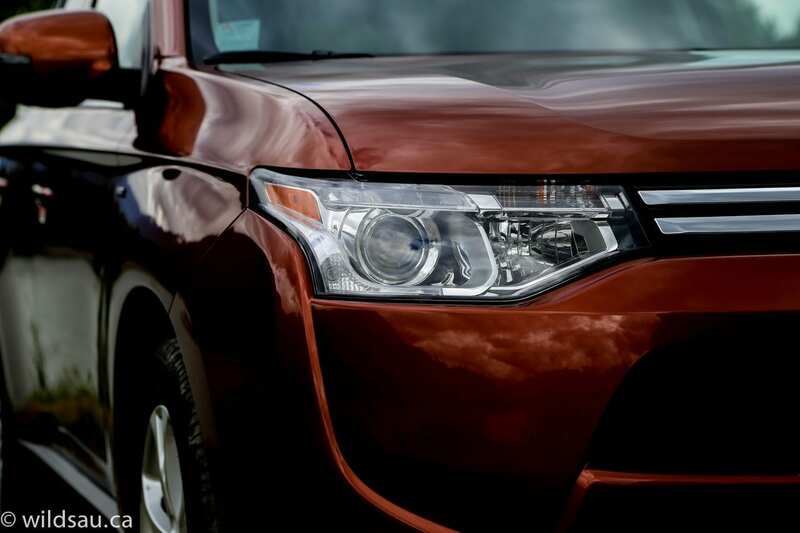 The Outlander came out in 2003 and they’ve sold over 52,000 of them since then. 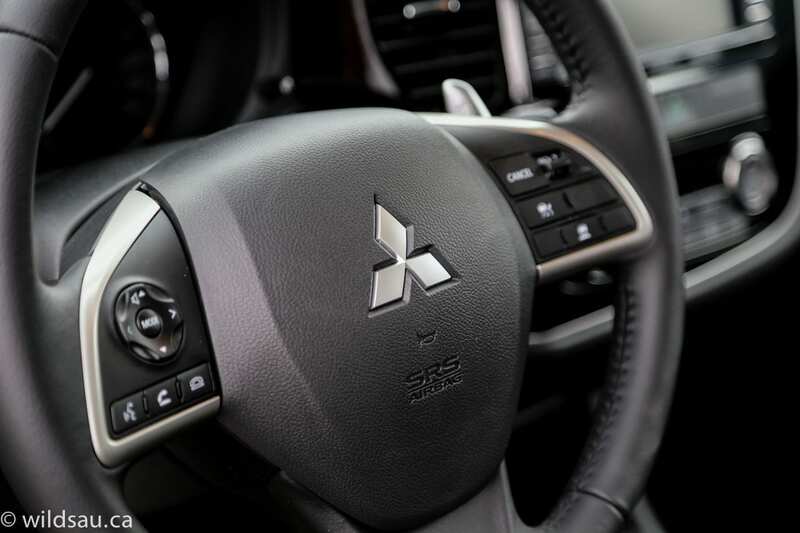 We learned about some of the new goodies available in the Outlander, such as driver assistance technologies – Adaptive Cruise Control, Forward Collision Mitigation and Lane Departure Warning. 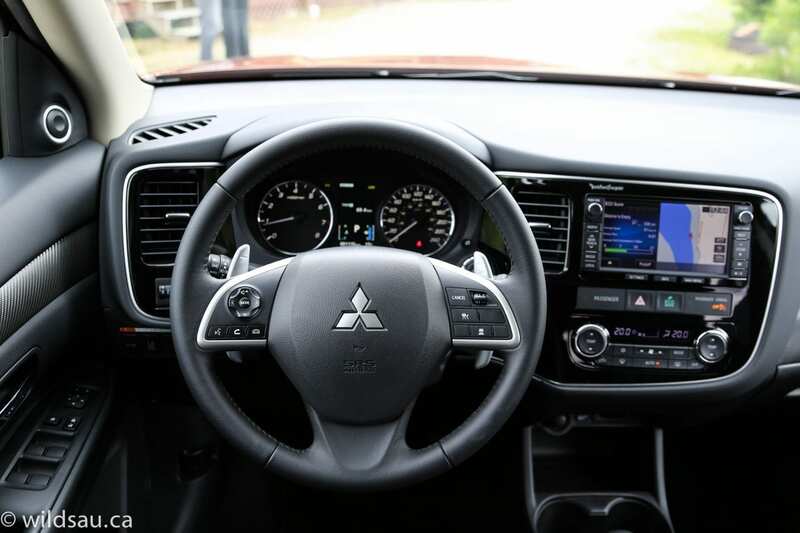 We also learned about the measures Mitsubishi has taken to cut down the weight of the new Outlander, while adding sound deadening insulation. And we heard about the advanced all-wheel drive systems they use, including their top-of-the-line S-AWC taken from their insanely capable EVO. There was also plenty of discussion around how things have been taken upscale. The previously mentioned sound deadening materials to ensure a quieter, noiseless ride. 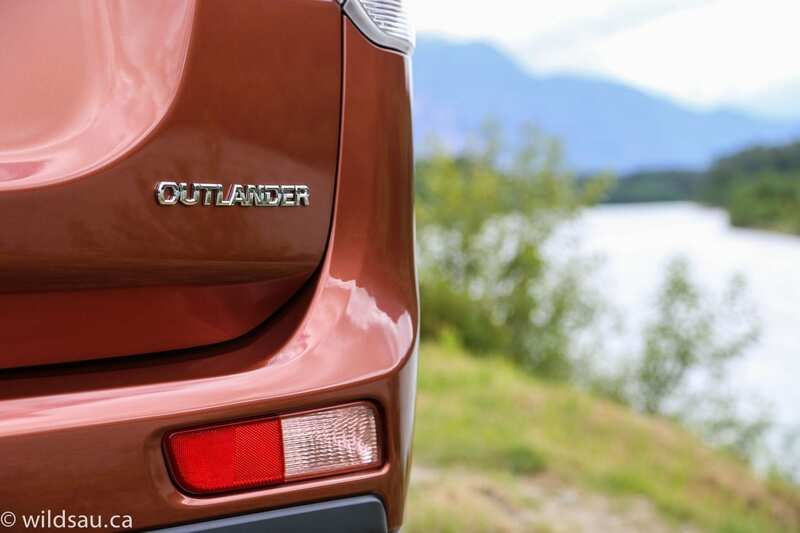 The soft-touch plastics that are found on most surfaces throughout the Outlander. 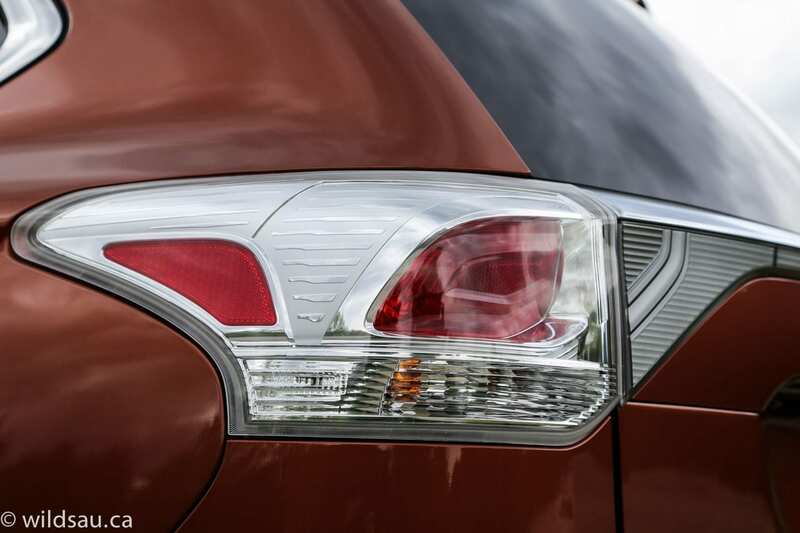 The available HID headlights, power liftgate and navigation system. And on and on. And they didn’t leave out the increased interior dimensions. 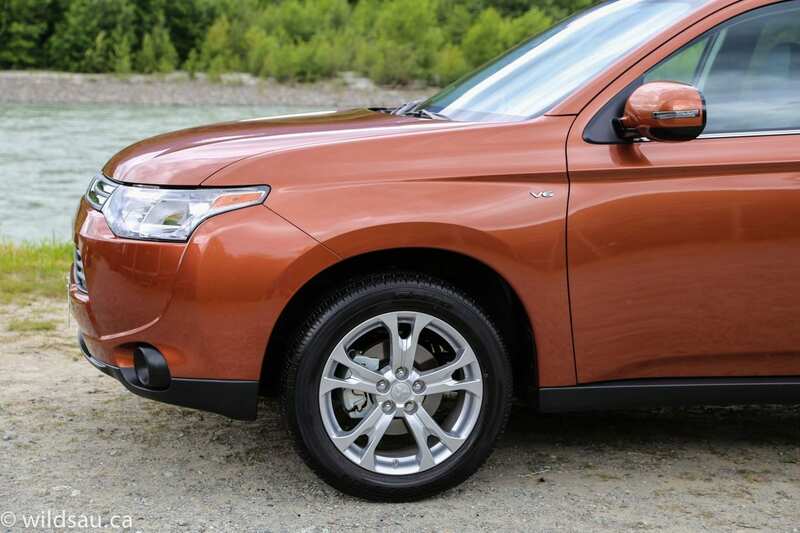 Even though the new Outlander looks more substantial than the old one, it’s actually 10 mm shorter now. Yet there is 60 mm additional legroom and a massive 120 mm of additional width in the vehicle’s third row, making it much more useable. 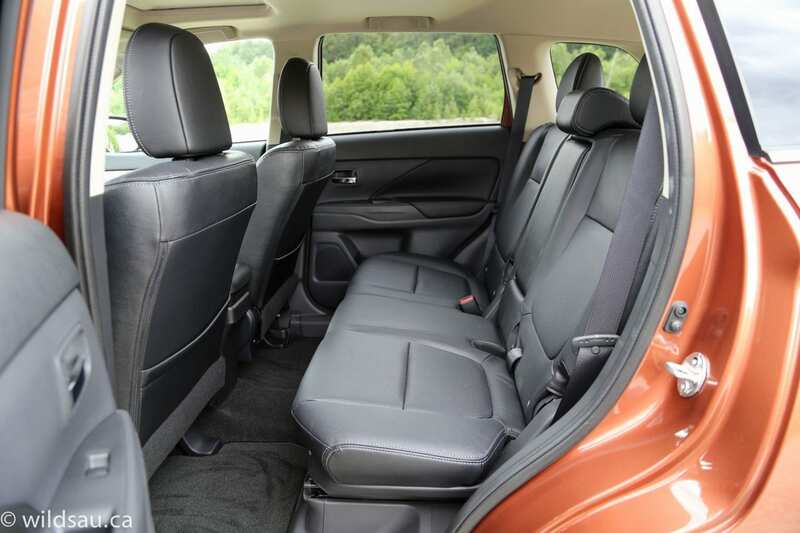 And the cargo area gained 335 mm in length (with that second row folded down) leaving you with an enormous trunk space. The presentation was followed up by a brief walk-around outside, and then we were paired up with a driving partner and sent off on our way. 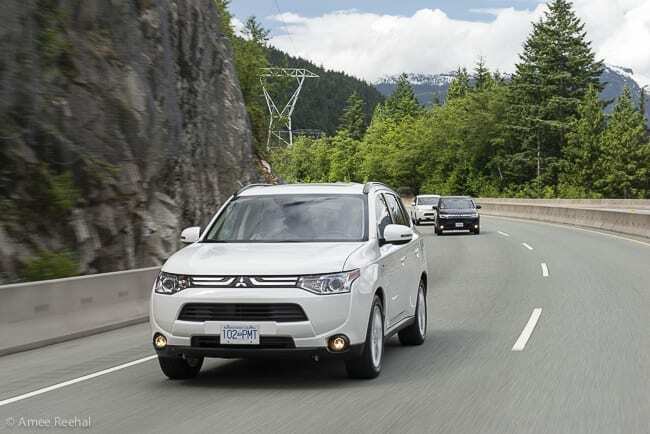 Our route took us out of downtown Vancouver and over the Lions Gate Bridge – and on to the famous Sea to Sky Highway toward Whistler, giving us an opportunity to check out the Outlander’s highway manners. 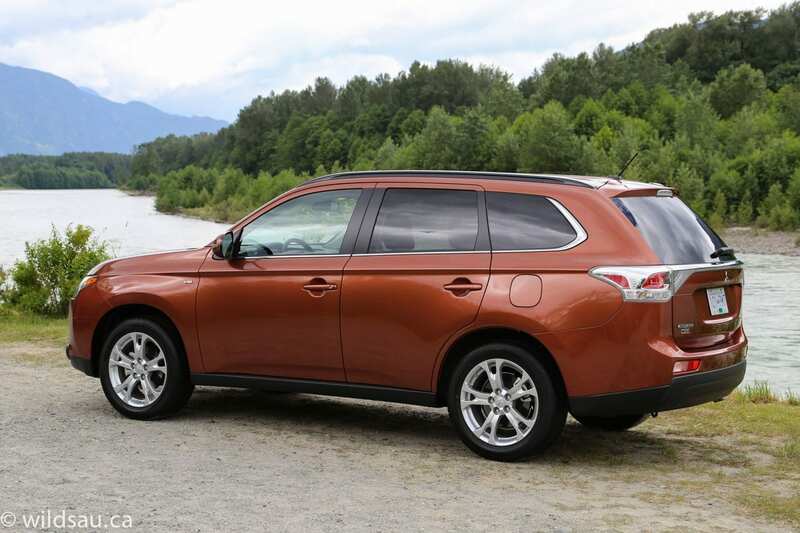 On the way there, I was in a 4-cylinder Outlander with a CVT transmission. It puts out 166 horsepower at 6000 RPM and 162 lb.ft of torque at 4200 RPM. It held its own, even on the uphills. The engine gets a touch coarse in the higher revs, but it rarely needed to soar to those RPMs. It was only on the steepest climbs that the engine felt like it was working hard. 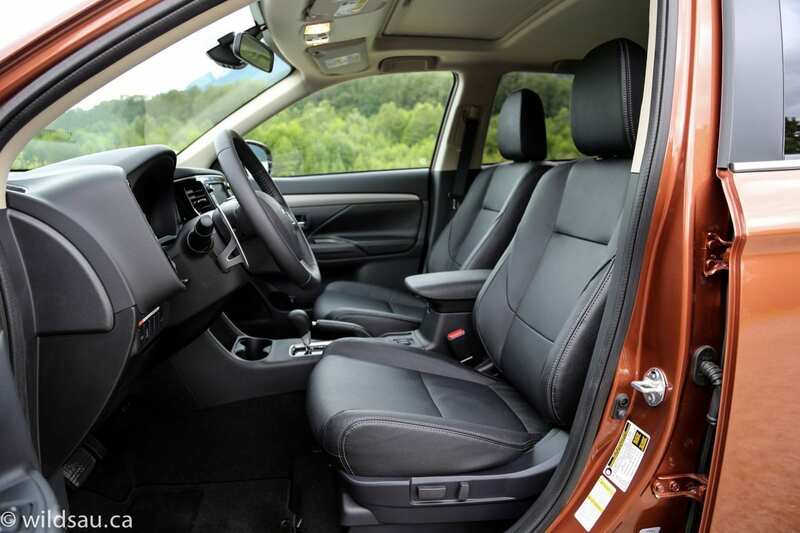 The ride was very smooth and controlled and the handling is quite good for a three-row SUV. After a while, we entered Brittania Beach and pulled over for a coffee break. Not just any coffee break. A coffee break at the Galileo Coffee Company. They roast their own beans in-house, and my espresso was spectacular. Good enough, in fact, that I bought a pound to bring home. Then it was back onto the highway, and we continued weaving our way through massive cliff faces and gorgeous vistas of bays and inlets as we made our way north up the coast. It didn’t take us long to reach Squamish, and after a few turns, we found ourselves at the base of Mount Garibaldi. We turned off the paved road, onto one less traveled. As a matter of fact, this was one of the scarier roads I’ve driven on. Unpaved, barely two lanes wide, it often narrowed into single track, and snaked up the mountain. 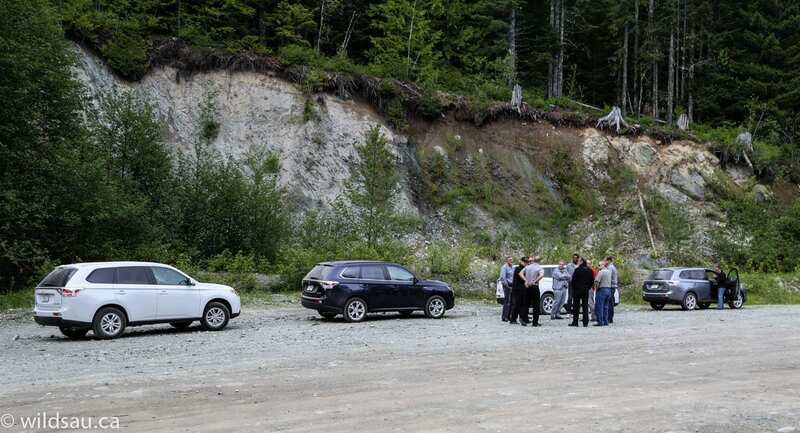 It was paved with broken rock and gravel, and if the brutally rough surface wasn’t enough, massive potholes pockmarked the entire stretch up the mountain. A drop off along one side of the road went further down than we could see – enough of an inspiration to keep our eyes on the road, because there were no guardrails to save us if you went over and that could ruin your whole day. We ascended to where the road ends. You simply can’t drive any further up the mountain, and very few dare to get this far. 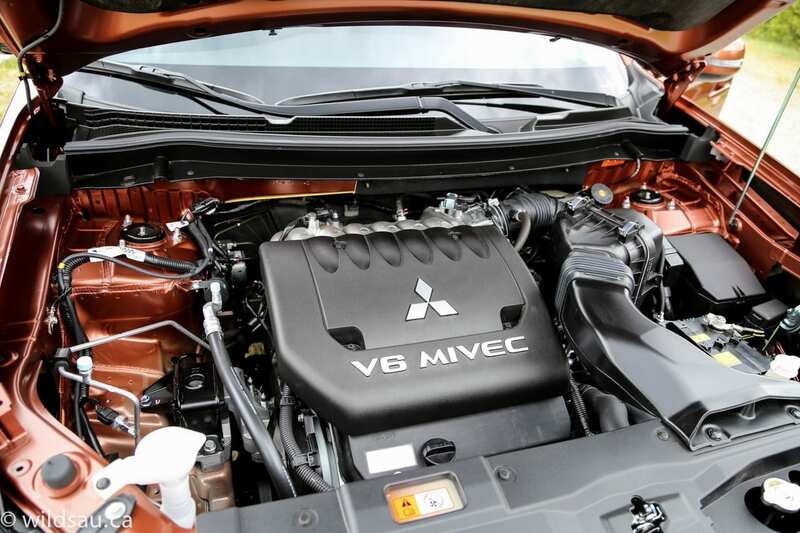 The Outlander (still the 4-cylinder CVT one) performed like a champ. It never felt out of breath, and had plenty of torque to make the climb. It soaked up the big hits as gracefully as the little ones. In terms of road conditions, I would classify this as extreme, and I never questioned that the Outlander was in complete control. Power always seemed to be sent to where it was needed, and though it was uncomfortable because of the terrible road, I was impressed that I never heard a single rattle or squeak from the cabin which was being tossed about the entire way up. And down. At the top is a small parking lot where you can turn around. 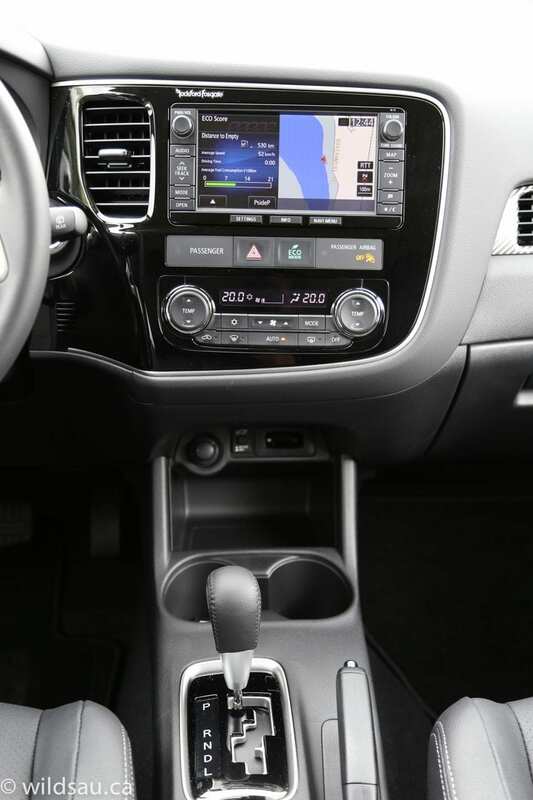 We switched vehicles here, and my partner and I got into a loaded up Outlander – the GT S-AWC with navigation. Going down the mountain felt as though we were in the same vehicle since we weren’t really using the bigger V6’s power. 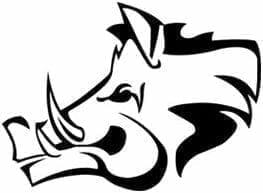 It pumps out 227 horsepower at 6250 RPM and a solid 215 lb.ft of torque at 3750 RPM. 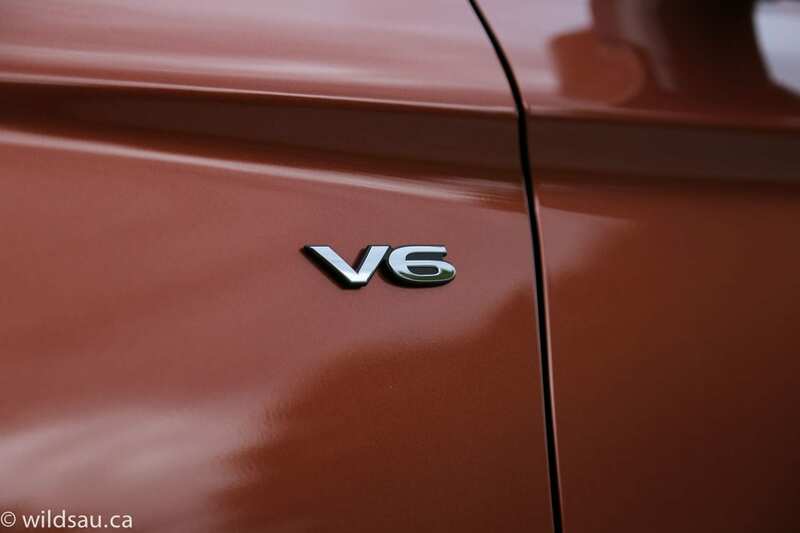 Once we got back onto the highway, you could immediately sense the powerful V6 happily sending its jam through the smooth-shifting 6-speed automatic transmission, and it climbed those mountainous highway curves without effort and made for easy passing. It is a pretty laid-back transmission, and the downshifts occasionally took a bit longer than I expected. 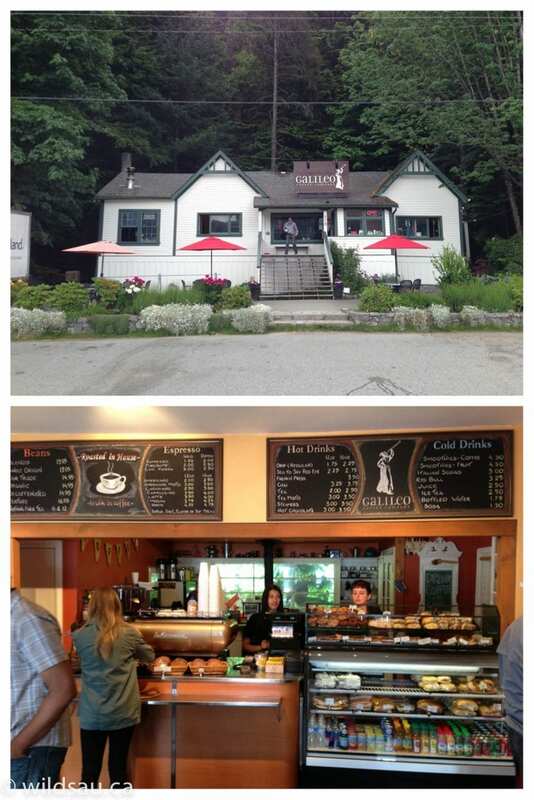 We stopped in a gravel parking lot a few kilometres outside of Squamish and walked across the highway to the famous Watershed Grill. It’s famous for a number of reasons. First of all, people come from all over the world to check out the bald eagles that visit here. We were lucky enough to see a couple of these majestic creatures soaring silently overhead. Secondly, the view from the restaurant is unparalleled. 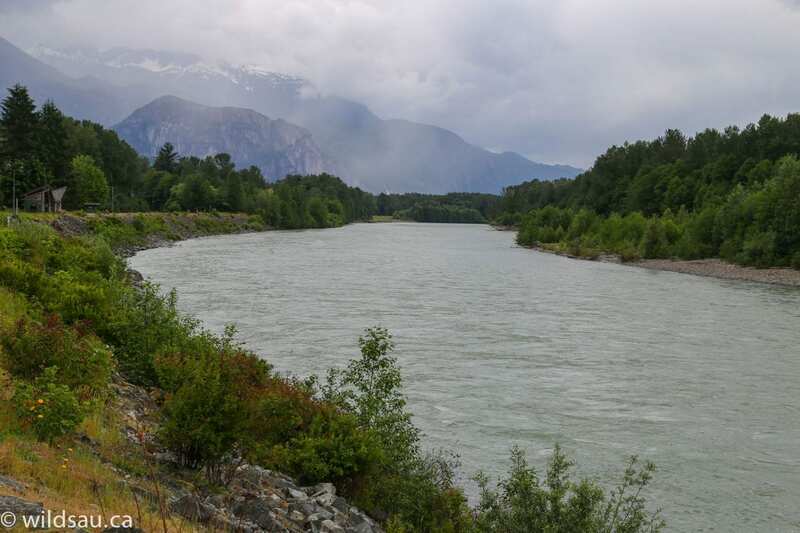 It is on the dike on one side of the Squamish River, and you can look down the river either way to see snow-capped mountains, lush mist-covered valleys and a view that words simply can’t describe. Last but not least, the restaurant’s staff (including the wonderful owner, Brandi) make your stay feel like you came home for lunch and the food they serve is outstanding. 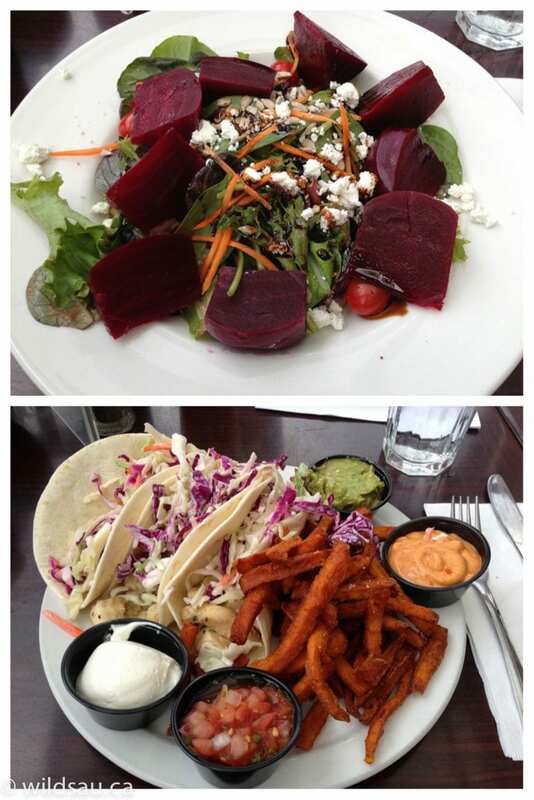 I had a beet salad and fish tacos that were something to write home about. Once we’d sated ourselves and had some time to kick back and I snuck off to find a local geocache, we were back on the highway for our final stretch. On the way back into Vancouver, we stopped at the incredible Porteau Cove, where we took in the coastline and the smell of the sea air and the beauty that just sits there – waiting to be discovered. And that was it – we got back into the city of Vancouver, and surfed the horrifying mid-afternoon traffic all the way through downtown and on to the airport. 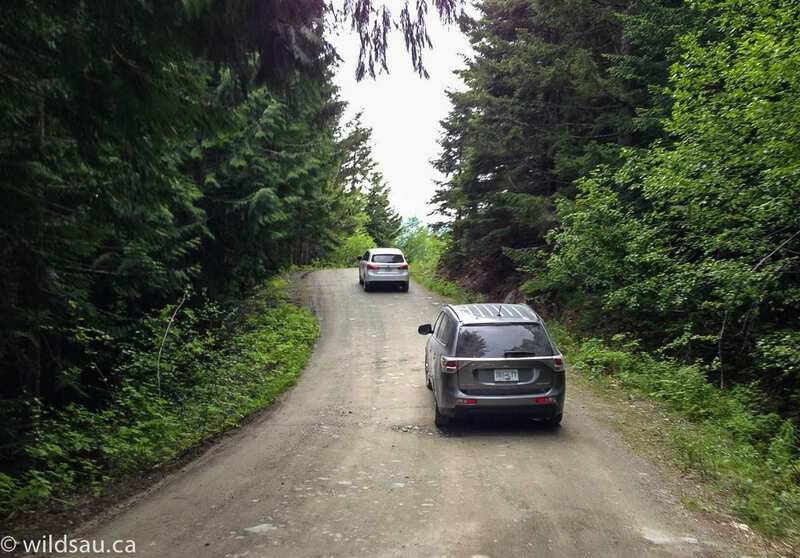 It was a jam-packed but enjoyable trip, and it displayed the capabilities of the 2014 Outlander very well, allowing us to play with it in the city, on the highway and off-road. 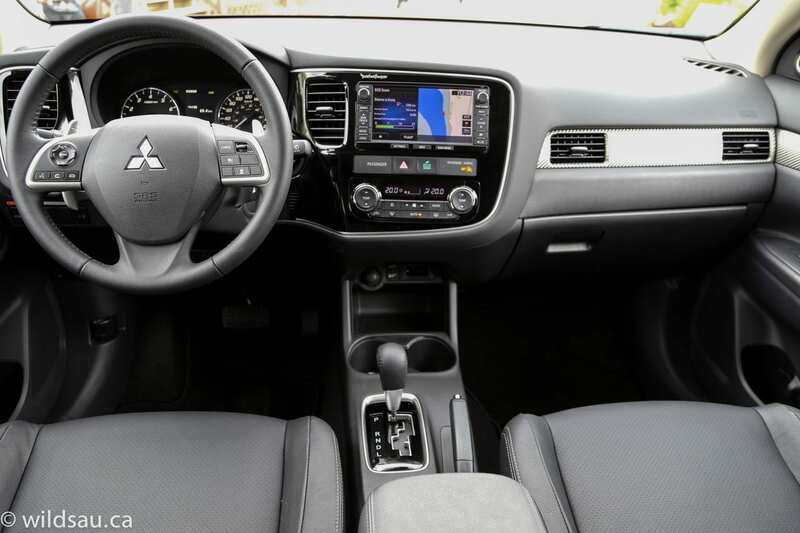 The 2014 Outlander is available now and should be rolling into showrooms – it starts at $25,998 for the ES, and goes all the way up to the GT S-AWC with Navigation for a lofty $38,728. 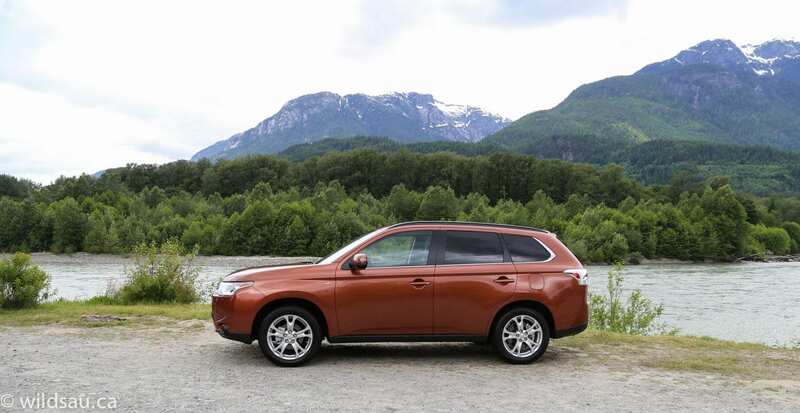 And if you need to realize better fuel economy, look for the plug-in hybrid Outlander that will be coming in 2014! 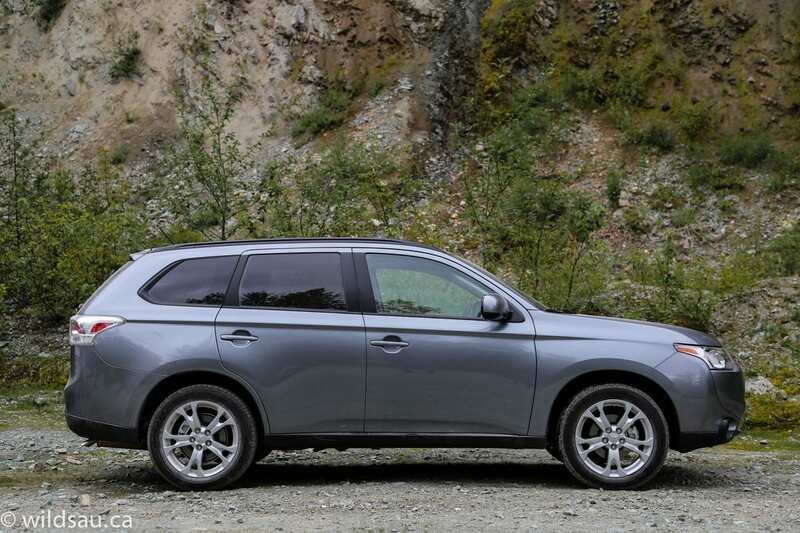 I have done a more in-depth review on the Outlander since this test drive – click here if you’d like to check it out. 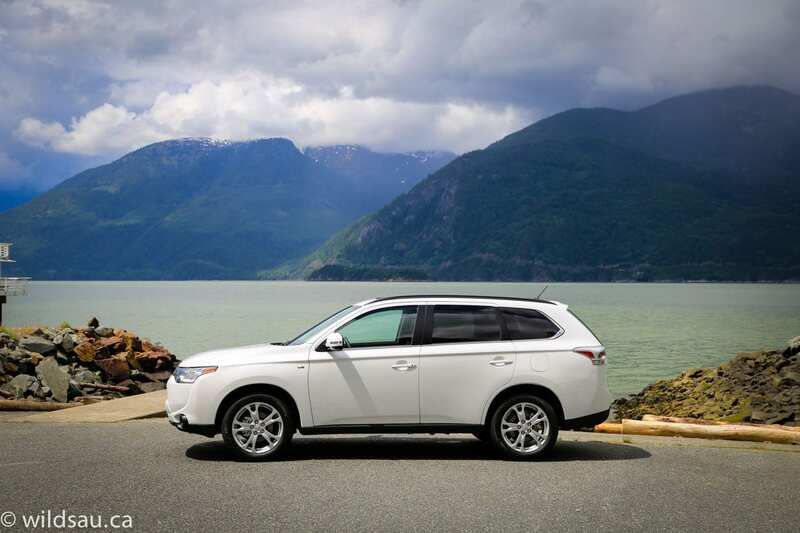 Kudos to Tony Morris, Jr. and the folks at Morrisport – they put on a world-class event and, along with Mitsubishi, made us feel at home and showed us some of the best that the Vancouver area has to offer while showcasing the Outlander. 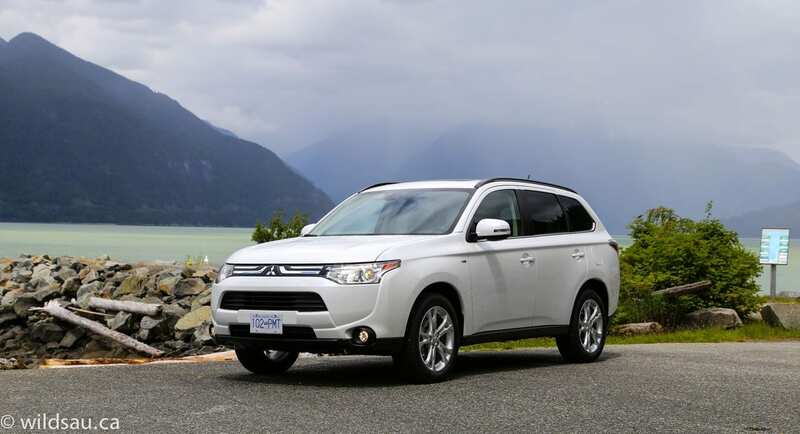 Disclosure: Mitsubishi Canada paid for my airfare, accommodations, meals and fuel and provided the vehicles for this test drive event.